This charm perfectly conveys sweet family sentiment. 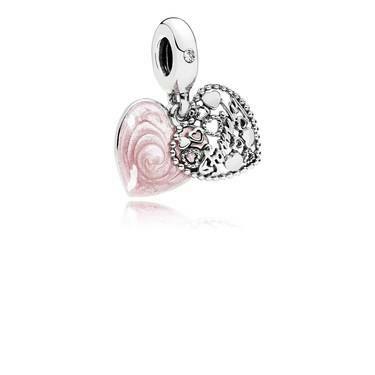 The intricately detailed charm features sterling silver, cubic zirconia and pink enamel. A beautiful trinket whether worn on a PANDORA bracelet or chain. I wear it as a pendant and love it.